Note: Articles are provided by the authors; JCHC and the Board of County Commissioners are not responsible for the opinions of authors or the content of their articles. Article links open in a new window; click close to return to this index. This list is intended as an aid to researchers; the Commission cannot guarantee its completeness or accuracy. We will correct any known errors; please advise the webmaster. This list contains only authored articles, excludes Hall of Fame and most uncredited reports. Magic Mountain—Destination: fun and fantasy!, by Richard Gardner, p 2-8. Volunteers Trace West Colfax history, by Kristen and Robert Autobee, p 9-10. Supporting the research needs of the West Colfax Historic Resource Survey, by Ronda Frazier, p 11. Columbine Community survives and thrives, by Lou Fohn and Chuck Hause, p 12-18. The Columbine Airport, by Lou Fohn, p 18. Water—Legacy of Zebulon Vance Swan, by Bobbee David Swan, p 19-20. Red Rocks Community College honors World War II, by Katy Ordway and Chris Howell, p 21. Introducing Colorow, a Jefferson County legend, by Beth Simmons, p 22-27. Jefferson County Hall of Fame: Colorow, p 27. Jefferson County Hall of Fame: Sally White, p 28. Jefferson County Hall of Fame: Thomas J. Carney, p 29. Evergreen stories trace its history of “mature eccentricity”, by Karen Groves, p 30-35. County resources support Colorado Glass Works Co., by Beau Schriever, Bill Lockhart, Bill Lindsey, and Carol Serr, p 36-38. Spring symposium sows seeds for ongoing meeting of the minds, by Cynthia Shaw, p 39. Meyer Award: Lariat Loop Heritage Alliance, p 40. Jeffco’s First National Historic Landmark: Red Rocks Park and Mount Morrison Civilian Conservation Corps Camp, p 41-42. Church’s Stage Stop Well landmarked in 2015, p 43. National Register: Bradford-Perley site and Medlen School, p 44-45. A photo tour of Indian Hills, by Max Lankston, p 46-48. Golden’s Welch Ditch: Preserving irrigation history in Jeffco, p 49-51. Of Cowboys and Indians, by Tom Noel, p 2-3. Ken-Caryl Ranch Celebrates 100 Years, by Rosemary Lewis, p 4-5. Floods of Jefferson County, Special Section, p 6-33. Preserving Prehistory: Friends of Dinosaur Ridge, Meyer Award, p 39-40. County Historical Commission Celebrates “40”, p 42-43. Growing Up in Jeffco—A Personal History, by Cherry Moore, p 44. National and State Registers, Conifer Junction Schoolhouse; Bradford Junction, p 45. JCHC Marks 40 Years in County History, p 46. Fortress Commerce: Jefferson County’s Malls, by Rosemary Lewis, pages 2-7. A Modern Revolution in Historic Preservation, by Sally White, pages 8-10. Applewood – an Orchard of Apple Trees, by Marian Metsopoulos, pages 11-12. All It Took Was One Ad, by Matthew Prythero, pages 13-15. Golden Cemetery (NRHP), by Richard Gardner, page 16. Ralston Cemetery (SRHP), by Matthew Prythero, page 17. Norman and Ethel Meyer Award, by Deborah Andrews, pages 18-19. Jefferson County Hall of Fame, page 20. Humphrey Memorial Park and Museum, by Lois Lange, page 21-22, 24. Step Back in Time at the Humphrey Museum, by Margaret Chapman, page 23. 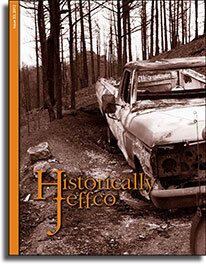 Feature: Wildfire History in Jefferson County, compiled by Richard Gardner and Sally L. White, pages 25-30. 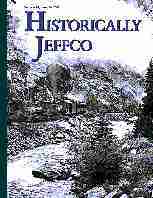 Jeffco’s First Major Wildfire, by Richard Gardner, page 27. Territorial Capitol Anniversary, by Richard Gardner, page 31. Historic Places in Transition, pages 32-33. Denver Mountain Parks Centennial Celebrates a Legacy of History, by Sally White and Jay Clark, pages 34-36. 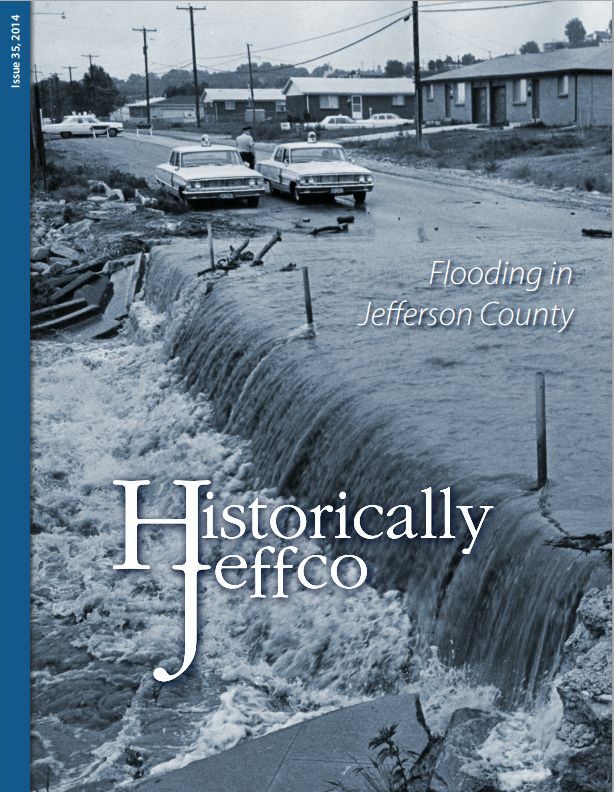 Jefferson County Historical Commission 2012, by Rosemary Lewis, pages 37-38. The Original Jefferson County Commissioners, by Richard J. Gardner, pages 2-5. Camp George West: A History, by Jerry Grunska, pages 6-10. Writers’ Award Winner 2011. Through Glass, Darkly: The Stained Glass of Calvary Episcopal Church, by Patricia Hale Killian, PhD, pages 11-15. Writers’ Award Winner 2011. The Rhubarb Festival at Pine Grove, by David Nelson, pages 16-20. Naming Buffalo Creek, by Milly Roeder, pages 21-23. Jefferson’s Government Homes, by Richard Gardner, pages 24-25. Why a Public Trustee?, by Margaret T. Chapman, Jefferson County Public Trustee, pages 26-29. Jefferson County: A Chronology of Events, pages 30-35. Jefferson County Hall of Fame: George and Sarah Church, Norma Anderson, pages 36-37. Designs Celebrate County’s History, by Sally White and Rose Lewis, pages 38-39. The Meyer Ranch Museum Project, by Suzi Morris and Lucy Bambrey, pages 40-41. Colorado Railroad Museum Landmarked 2011, by Margaret T. Chapman, pages 42-44. 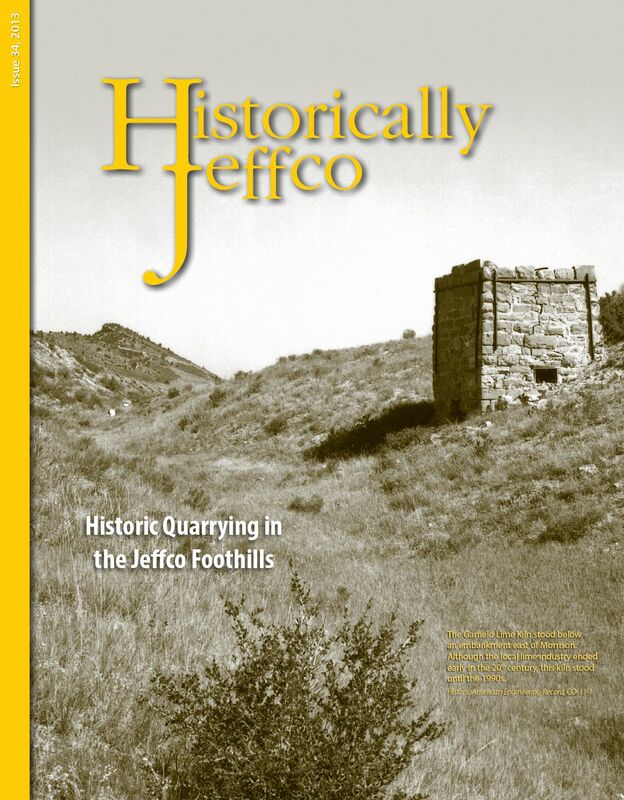 Jefferson County Historical Commission, Year in Review, by Rosemary Lewis, pages 45-47. Jefferson County Historical Commission Members, pages 48-49. Spivak, Colorado, by Marian Metsopoulos, p. 17-22. Katherine Ramus and the Blue Jay Inn, by Milly Roeder, p. 23-26. Landmarks: The Golden Chateau and Ken-Caryl Equestrian Center, by Richard Gardner, p. 29-31. Hall of Fame: Harold Elliott Bray; Donald Ebner, p. 32-33. Lakeside is the Place, by Robert J. Olson, p. 34-39. From Cattle Ranching to Cold War: Preserving the History of Rocky Flats, by Debbie Grieco, p.40-43. Volume 1, Number 1, complete, PDF, 10 mb. Volume 1, Number 2, complete, PDF, mb.